He is considered the most lyrical of the poets writing during the period of the wars of independence. Although Heredia's poetry is classic in form, it contains romantic melancholy and joy in nature. 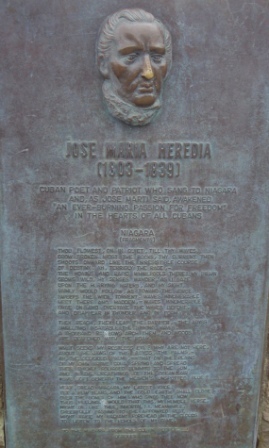 He was exiled from Cuba as a revolutionary (1823), and spent two years in New York City, where his poetry was published. Heredia lived the rest of his life in Mexico. 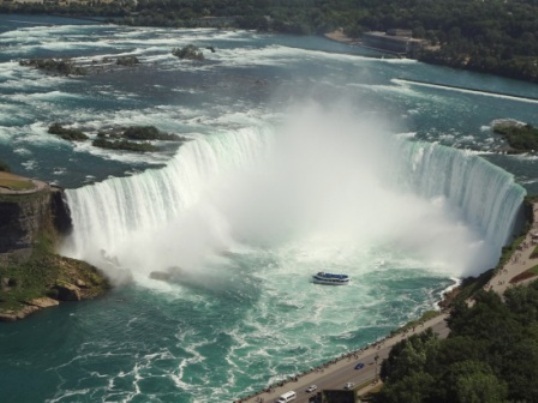 One of his finest poems extols the beauty and power of Niagara Falls. He visited there soon after he was turned down by his Cuban sweetheart. The hoarse and rapid whirIpools there! And disappear in thunder and foam.